Posted on February 14, 2012 . 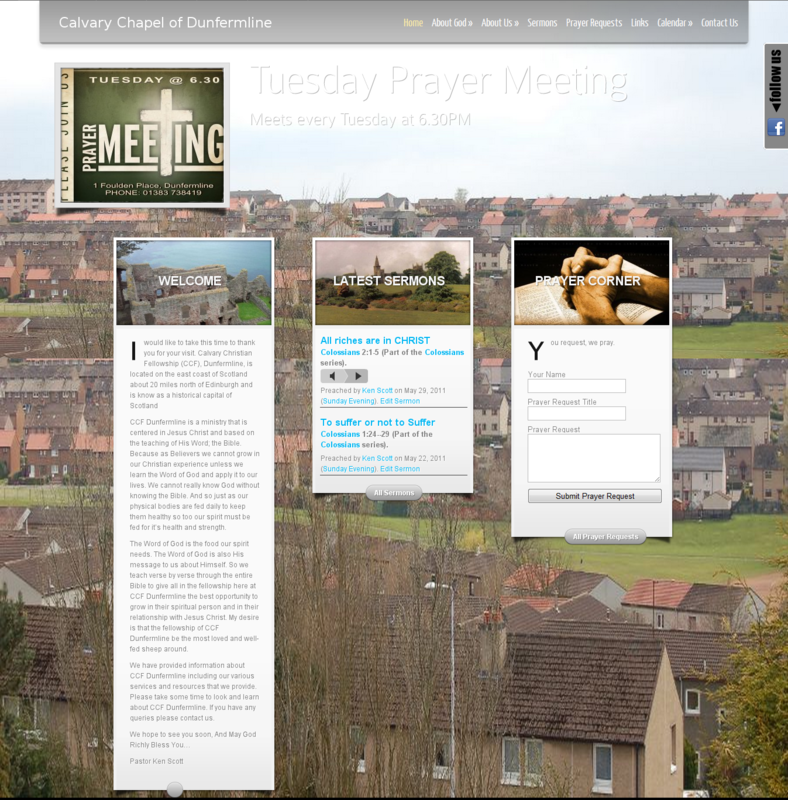 The Calvary Chapel in Dunfermline requested a redesign for their church website. They wanted to give it a more mordern look and add some functionality. Rotating images of the local area were added as backgrounds so the beauty of the country could be seen on every page. A more dynamic prayer request center was formed. Prayer requests could be submitted and then visitors could comment on those request to let those in need of prayer aware that visitors were praying for them. A more robust sermon section was added which supplied a user friendly way of searching through sermons and both listening and downloading those sermons. Contact information is prominently displayed on every page rather than on just the contact page only. 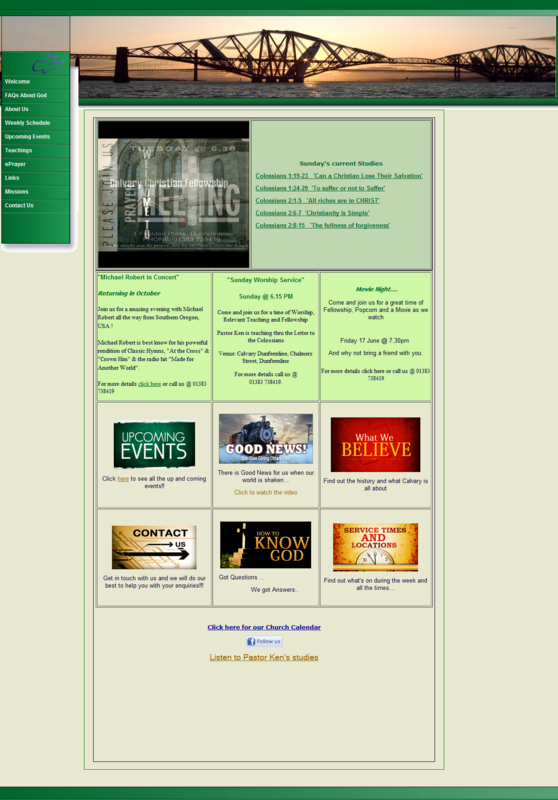 Overall, a great new design to showcase the church and its ministry. Status: Design is complete. Client is currently creating content before launch.